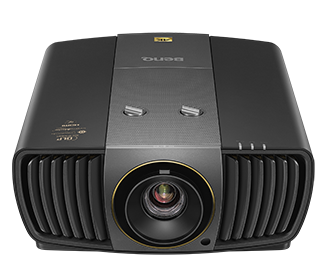 BenQ, the global No.1 DLP projector brand, today introduced the ultimate digital home cinema projector X12000, a 4K UHD projector that balances the wide-gamut high-brightness output of Philips ColorSpark HLD LEDs with world-exclusive CinematicColor Technology to accurately produce the DCI-P3 color space. 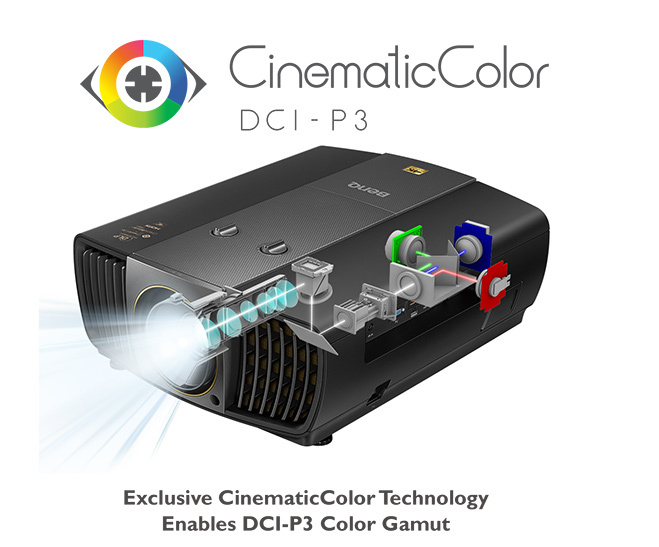 Defined by the digital film industry, the DCI-P3 color gamut encompasses a significantly larger portion of the visible color spectrum, proving far more colors than Rec. 709 and sRGB. With 8.3 million distinct pixels to fully meet Consumer Technology Association's (CTA) 4K UHD specification, X12000 delivers the authentic experience of attending a commercial digital cinema. Revolutionary Philips ColorSpark HLD LED technology provides a wide color gamut with up to three times screen brightness by combining green light four times as bright as conventional green LEDs from its High Lumen Density phosphor module with high-brightness red and blue LEDs, generating 2,200 lumens of brightness for use in well-lit rooms. X12000’s industry-exclusive CinematicColor Technology hones this wider color gamut and higher brightness to produce the expansive DCI-P3 color gamut, equaling the high standards of commercial digital cinema. X12000 utilizes the advanced DLP 4K UHD DMD with XPR technology for 3840 x 2160 distinct pixels and true 8.3-millionpixel 4K UHD resolution. Single-DMD DLP technology preserves precise color accuracy and image integrity and color accuracy without artifacts caused by panel misalignment, especially critical for 4K pixels which are much finer than 1080p. And X12000’s sophisticated 4K optical system delivers stunning visual quality to replicate an authentic digital cinema experience with 14 high-resolution elements, a true zoom system, and special low-dispersion lens coatings. Fitting perfectly into modern home cinema settings, X12000 features streamlined design with sleek front-facing ventilation. Its unobstructed port architecture provides ample space to accommodate thick high-quality cables and HDMI / power cable locks to secure them in place. X11000 also offers H/V lens shift and 1.5X big zoom to fit perfectly into home cinemas of any size. 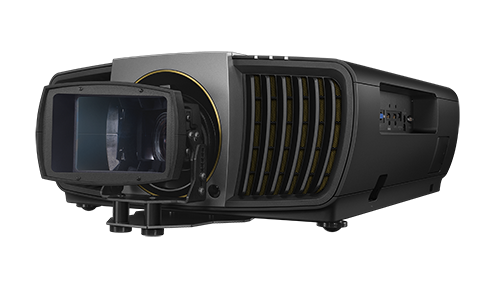 Powered by ultimately durable Digital Light Processing, the 2015 Academy Award of Merit Oscar® winning technology used in 90% of the world’s digital cinemas, X12000 delivers long-lasting DLP picture quality with precise colors and razor-sharp clarity coupled with a maintenance-free LED light source.